PLENTY of tourists visit the Taj Mahal when they’re in India. But impressive architecture is far from the most majestic sights the country has to offer; the best of India’s safaris are definitely worth a detour. Besides a reputation for its momentous Bollywood flashmobs and incredible food, India is home to a huge animal kingdom. In fact, it’s one of the best places in the world to see tigers; a powerful icon of India’s natural landscape. More importantly, its survival in the wild has been a top priority for WWF-India since the latter’s inception. The organisation’s contributions towards Project Tiger began in the early 1970s. The Project was the first-ever tiger conservation programme launched by the Government of India. Did you know: India is home to 99 national parks, 40 tiger reserves, and 450 wildlife sanctuaries. Forget zoos — go hear the real call of the wild. 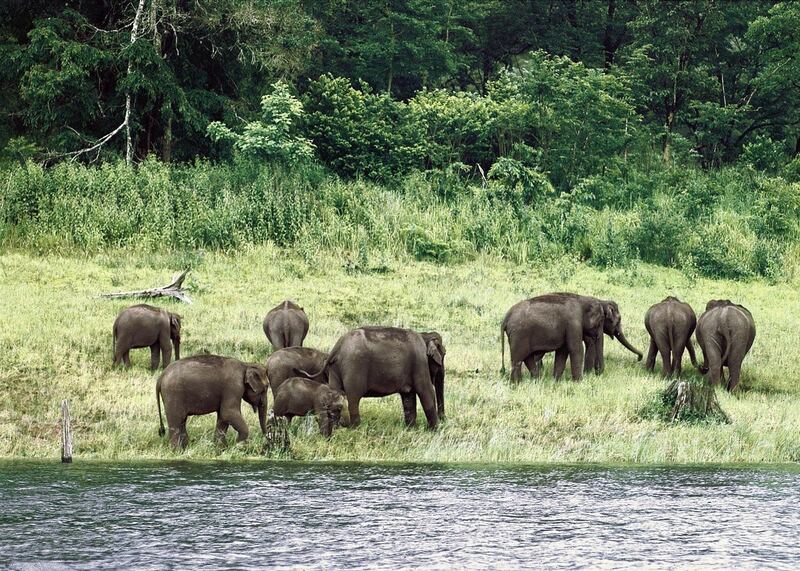 Here are our picks: the best of India’s safaris you have to see for yourself. Ranthambore is one of the best of India’s wildlife safaris, just five hours from Agra (home of the Taj Mahal) and Jaipur, the capital of Rajasthan — perfect for a jam-packed itinerary. Over there, you’ll easily spot tigers residing in the park’s steep rocky hills, grassy fields and serene lakes. The park has recently expanded into five new areas, including new jeeps for a more intimate experience with the wildlife. You can even go glamping in the luxury tented camps nearby, such as Aman-i-Khas, Sher Bagh and Oberoi Vanyavilas. Ever seen The Jungle Book? Fun fact: The Kanha National Park is where its author found his inspiration. It was originally established as a sanctuary in 1933, declared a National Park in 1955, and made a Tiger Reserve in 1973. Located 75 miles from the nearest airport (Jabalpur’s airport), the national park is home to almost 125 tigers. 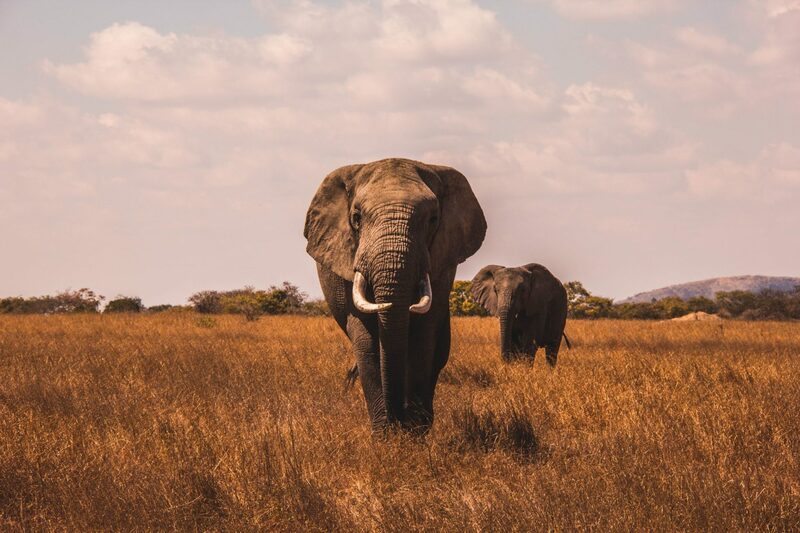 To get the most out of your trip, visit after the monsoon season in October, where the jungles become more dense with lush greenery and beautiful sightings of the wildlife. 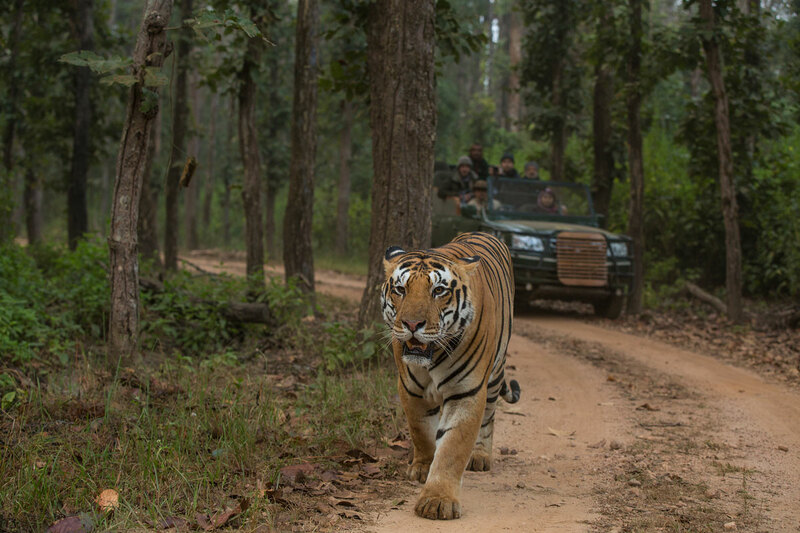 The Kanha National Park is open for visitors from 1 October until 30 June. Truly, one of the best of India’s safaris happens to also be the first and oldest national park in the Nainital district of Uttarakhand. Jim Corbett National Park spans over a whopping 520 square kilometres, its landscapes varying from hills, marshy depressions, riverine belts, grasslands and large lakes. Part of the larger Corbett Tiger Reserve, the national park is where Project Tiger was first launched in 1973. It houses a healthy population of tigers, along with rare species like otters and the endemic fish-eating crocodile. 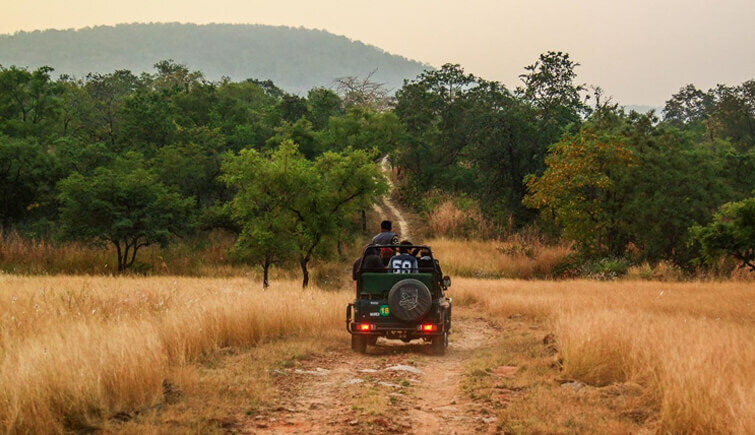 If you want the best of India’s safaris with breathtaking landscapes, the Panna National Park is for you. In close proximity to Khajuraho temple, it is a world heritage centre home to eclectic fauna — we’re talking Indian wolf, four-horned antelope, sloth bear pangolin, rusty spotted cat, leopard, caracal and gharial in its deciduous forests. Picture this: Riding off into the sunset alongside the majesty of the wild; it’s like The Lion King dream reimagined, all 543 square kilometres of it on the banks of the Ken River in northern Madhya Pradesh. Bet you didn’t know that elephants have the same level of intelligence as dolphins. If you’ve got a thing for smart animals, the Nagarhole National Park is the best place to see elephants up close in their natural habitat. 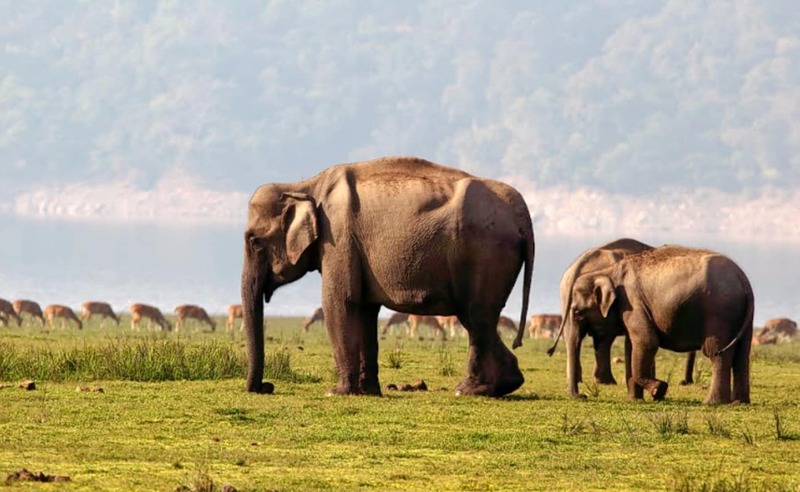 Also known as Rajiv Gandhi National Park, the wildlife reserve in the South Indian state of Karnataka is one of India’s best-kept secrets in the Nilgiri biosphere reserve. With its rich population of animals and birds, the park is also filled with waterfalls, hills, valleys, streams, and forests. For a fuss-free vacation, check out Scott Dunn’s Spices of Northern Kerala itinerary, including a wildlife safari in Kerala.